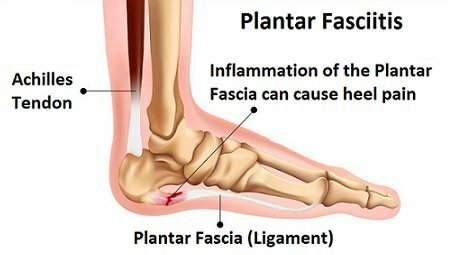 When running, it is not uncommon to over-extend or damage the plantar fascia ligament. This ligament runs from the toes to the heel. When it is hyperextended or is consistently utilized, it can weaken, causing heel, arch, and foot pain. 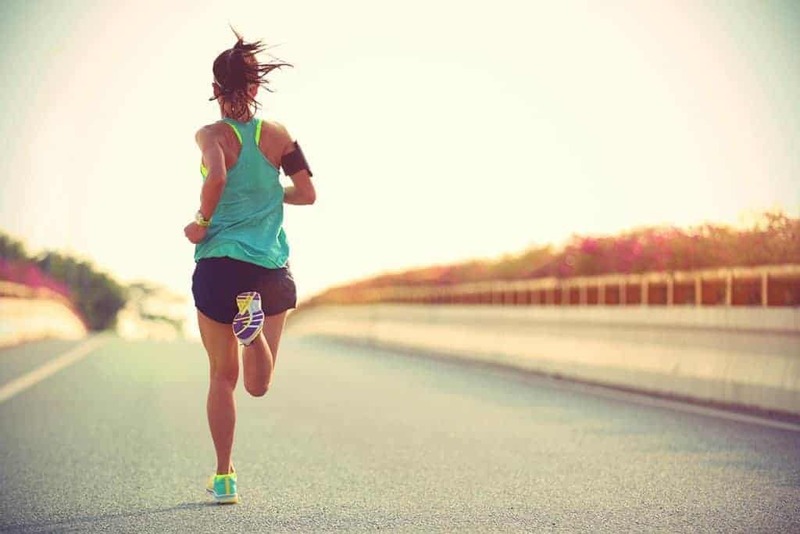 There are a few simple solutions that one can practice when running, severely reducing the chance of affecting this main ligament when running. The technique is everything in running, so many often find it difficult to break the mold of their previous stride methods. With this in mind, we have provided 5 shoes that will assist you out on the trail and sway the attention and stress away from this ligament. This guide also details more about this ligament, providing prevention measures and other such notable content. ​Nike is often recognized for their low-profile and lightweight running shoe options, but the Air Max Torch 4 model sways away from the ordinary. The aforementioned mesh options don't often cut it with individuals with feet issues, but this Air Max model fills in nicely. It features a large rise in the middle, but the flex is limited to the front of the shoe. This shoe features a very thick undercover, which is carried out tenfold with the addition of the shock absorbing technology in the rear of the shoe. This technology reduces the wear and tear on the entirety of the foot and helps to make push-off and landing feel effortless. The shoe is constructed from a mesh material, but the design utilizes many instances of overlap, creating for snug protection against elements. This also helps keep the foot stable and introduces a holding device that helps reduce movements and sliding. The insole is made from Phylon, which is formed from little pellets, creating a cushion that applies stable pressure and absorbs the contact. Existing in the lightweight space is the New Balance Fresh Foam 1080v6. This lightweight model does not compromise on construction, featuring a high-rise bottom support mechanism. This bottom is made from foam materials that help host the lightweight notion while keeping stability at the top of the discussion. The front thins out nicely, adding that flex element that we desire when dealing with plantar fasciitis. As it works to the back it gets thicker, creating a solid support base for any foot size. It also features no middle flex, which helps place the focus on the two main areas of lift in the front and the back of the foot. It also fuses the materials it is constructed of with mesh and synthetic materials comprising the outer shell. This helps to add protection measures against unwanted elements. There are small hole punctures in the shoe, which help for foot breathability. Due to the high-rise nature of the under padding, this shoe only rises to about the mid-length level on the ankle. The Adidas Duramo 7 is a trail running shoe that features a dual fusion in under element support. The bottom of the shoe features a thick, foam-like covering that thickens near the back of the shoe. It is relatively stable, with a slight rise in the middle. Additionally, traction grooves and extensions are added to help you conquer any path. The duality of functioning between these two elements helps to reduce any pressures or discomforts you would face when stepping, landing, and pushing off. The inner portion is lined with the Adidas CloudFoam technology. CloudFoam takes a practical approach to the memory foam trend, creating a form-fitting mold that helps to surround your foot with the comfort it needs. The outer construction is dealt with imported materials. It is a mesh-like substance that features the necessary level of reinforcement in key areas. ​We stick within the ASICS brand due to the solid bottom construction in the Gel-Contend 4 running shoe series. This bottom is rather even throughout, creating a small hike near the middle of the shoe. The flat front and mesh covering surrounding the toe box add for excellent flexibility. This notion suits the runner who works off of short strides and pushes off with the toes. As we work towards the back of the shoe, the bottom protection thickens and stabilizes, creating no additional give of flex. The raised bottom near the back of the shoe adds to support measures, keeping your upright and supporting the ankle. The front features a mesh design which helps to create the flex you need. As we work to the back, we notice the combination of both synthetic materials and mesh covering. This creates the strength measures we need in this area. The insert features patented gel technology that helps to reduce the shock and pressure felt in the foot. This is a nice addition for those suffering from plantar fasciitis. It helps to create an even distribution of pressure and shock, reducing the amount of pressure felt in any one given area. Stemming from the high-end region of the ASICS realm are the GEL-Kenun running shoes. The high-end format is met with the high-end design and functionality. These shoes feature a thick, gel underlying that rests directly below the foot housing and outer shell. This gel is thick and layered, providing top production in cushioning and comfort. This benefits those who have heavier feet and reduces the stress on the entire foot. While the outer shell is surrounded in fabric, it features a thickness level worthy of most nylon and leather constructed shoes. The inner portion of the shoe features a nylon insert that doesn't groove or create and uneven step. The backing features little resistance and is also reinforced for extra padding and holding power for the ankle. It features a mid-rise design, covering about halfway up the ankle when worn. Developing a proper stride is something that goes hand-in-hand with the shoes you select. You have adapted to your own style and it has worked for you up to this point. If you are tailoring your running shoes to the technique you feature when running, your risk of injury greatly increases. The problems arise when people feature multiple techniques and/or wear shoes that don't fit their strides correctly. The two most common types of strides seeing problems in the plantar fasciitis space are over-extended and toe tip running. The over-extended runner will try to draw their strides out to great lengths. This will cause heavy tension on the heel as this becomes the main form of push-off in this running style. The second involves shorter strides that keep you high on your toes. This runner will arch their heels and land with their toes, utilizing the toes for both landing positioning and push-off support. While these methods are popular options for sprinters and short distant runners, they do not benefit the long-distance runner. Developing these habits is a leading cause of plantar fasciitis. If you struggle to break the mold, there are shoe options that can tailor to your style or reduce the irritation caused by extension or over-utilization of this ligament. The bottom on the shoe, of which the central foot housing is attached to, is a key component. You want to aim for a bottom that is relatively flat with a slight arch in the middle. This bottom should hold almost no flexibility when leading up to the toe box area. The toe box should flex back when an effort is applied to the front of the shoe. The flexible toe box works to benefit both previously described stride types. It keeps it lose and flexes when you do, reducing the pain and irritation that could arise. The back of the shoe is just as important as the front when it comes to plantar fasciitis. Runners who over-extend on their strides will primarily land on their heels. This also will represent the location for push-off. It is important to locate a shoe backing that does not flex or twist. It should be rather stable and should not cave under applied pressure. The pressure test associated with these shoes should allow you to exert excessive force with minimal give resulting. The back of the shoe should also have a thick layer of padding on the bottom. The inner portion of the back of the shoe should be built-up, utilizing a thick insert or a stable base. The stability piece is important because it keeps your ankle from moving. Reducing the movement in the ankle can keep you upright, benefiting both balancing and your unique stride patterns. The portion of the shoe that rises to grip the heel and ankle areas should be reinforced with extra materials. This thickness reduces the slide and the movement of the foot when planting or pushing off. This area is a high target for increased stability measures. Without the proper materials and extra padding, your ankle, heel, and foot face increased risk of plantar fasciitis development. When it comes to plantar fasciitis, the shoe should feature a complete construction method. Selling short on areas with lighter fabrics or cheaper materials will hurt in the long haul. Proper materials allow for strengthened construction, reinforcing areas when needed or adding support to highly affected areas. The back of the shoe, the front of the shoe, and the material surrounding your foot are the three areas you should focus on most. The reasons for the front and back elements have been previously discussed, leaving us with the outer construction of the shoe. The outer construction is important because it ties these previously mentioned areas of focus together. It acts as the epicenter of benefit for the user, due to its ability to control the properties surrounding it or working with it. Direct support run-off from the ankle area should be carried out to the front of the shoe. You may notice some lighter materials or a canvas design near the toe box. This is normal and helps to give the shoe the flex you need. A thicker layer running overtops the foot will reduce movement and help your work towards that stability piece. Strengthened and reinforced designs will help tie all of these elements together and reduce the chance of developing plantar fasciitis. After divvying up the prescribed benefits and features, we give the ultimate seal of approval to the Nike Air Max Torch 4. It works to better cover all foot types with its fully encompassing backing. It works well for those with low arches and high arches alike. It features multiple inclusions of absorption methods, which reduce shock and pressures felt upon movements. It features the necessary distribution of materials on the bottom of the shoe and is thick enough to withstand the test of time. When selecting a shoe for combating plantar fasciitis, it is important to take the measures we discussed above. Put the shoe to the bend test. Look for reinforcements of materials in the prescribed areas. Create additional assistance with the inclusion of shock absorption measures or additional thickness near the back of the shoe. Runners Connect: What are the Best Ways for a Runner to Prevent and Improve Plantar Fasciitis?